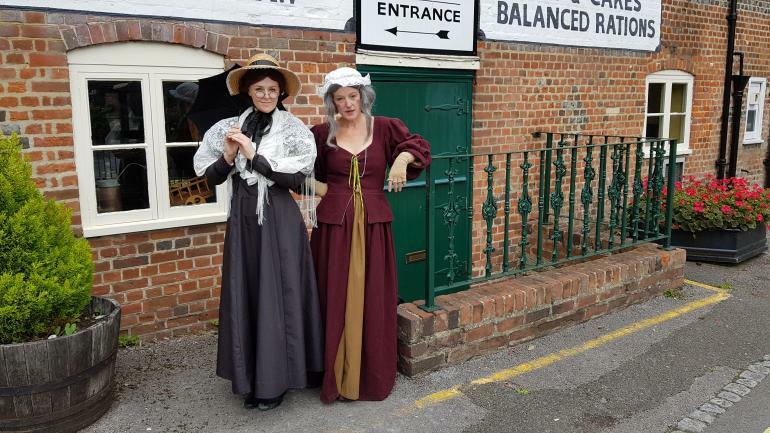 Familiar Georgian Characters have returned to the streets of Andover especially for the Shilling Fair. Three interactive tours were very well attended learning all about Coaching Industry throughout the Georgian Period and highlighting the changes that the were introduced with the arrival of the railways. The trail was originally created last year with Heritage Lottery Funding and was commissioned by Hampshire Cultural Trust and Thames Valley Trust. Ten interactive trails were created that entertained visitors to the Family Fun Days throughout August 2016. These trails were so popular they were converted to educational 10 workshops, attracting additional HLF income and offered to Year Groups 3 and 4.